cognition, personality, the self, mental health, and development. is the Lewis and Virginia Eaton Professor of Psychology at Stanford University, and has published significant work in the area of achievement motivation since the early 1970s. Dr. Dweck is one of the first researchers linking attributions to patterns of achievement motivation, an originator of achievement goal theory, and a pioneer in the area of self-theories of motivation. 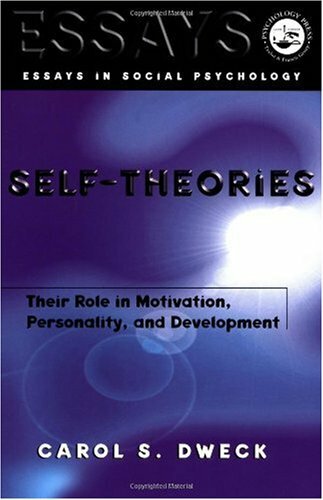 Her recent books includeSelf-Theories: Their Role in Motivation, Personality, and Development;Motivation and Self-Regulation across the Lifespan(coedited with Jutta Heckhausen); andMindset: The New Psychology of Success. Her research is extensively cited in social, developmental, personality, and educational psychology.